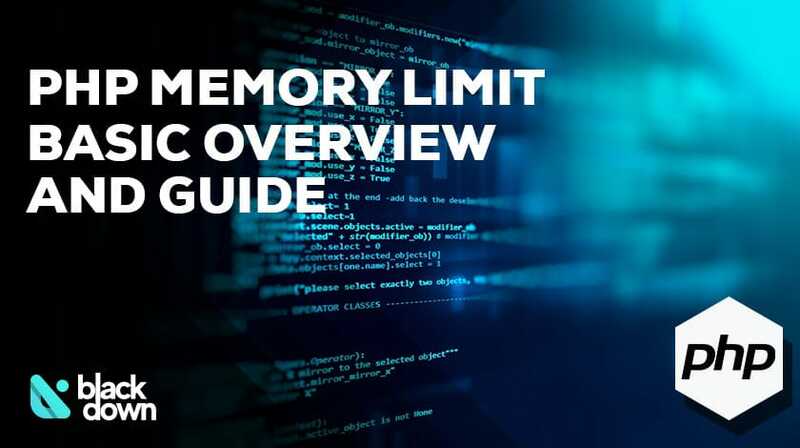 Have you heard about the PHP memory limit? It is an incredible utility that allows you to control how much memory your scripts take. Think of it as the signs for limited speed on the highway (assuming we all respect them). Regardless of the type and specifics of the vehicle, you must honour the speed limit. You use the same guideline when setting the PHP memory limit. Regardless of how a script was written, it can only use the memory you specified. The first thing you need to is that you decide the allowed PHP memory limit per a single script. It means there is no total memory pool that all scripts can use until they use up all the memory. Instead, each script has a separate limit. The reason why you need to implement these settings is that you may execute some scripts that are badly written from time to time. Instead of those scripts taking all the available server memory, you limit them and prevent any mishaps. In case you cannot execute a script because it exceeds the memory limit, the system will show that it encountered an error and pinpoint that the mistake is in the lack of memory. They say the best way to learn is through examples, so let’s try to see several different situations of using the PHP memory limit. Let’s say that you have six entirely independent PHP scripts. You set the limit at 200MB, and each of them is using exactly 150MB of memory. Although they are using 900MB of memory combined, they can all run effortlessly because neither one exceeds the individual memory limit of 200MB. Now, let’s imagine that you have a parent script and another script included within that one. Let’s say that the parent script uses 150MB, and the included one another 150MB of memory. In that case, the set memory of 200MB will be exceeded because these two scripts are connected and the memory they use is jointly calculated. What to Do If a Script Exceeds the Memory Limit? If you ensure that the memory is chosen wisely and the scripts are written properly, you should never have problems with reaching the limit. After all, the primary benefit of the memory restriction is to identify bad code. When you notice that a script uses more memory than allowed, it may be time to optimize it. If you see it as a viable option, consider increasing the limit until you fix the script. You do not want a few lines of bad code to cause your app to break down completely. Apart from the entire server, PHP memory restrictions can be adjusted for particular apps or websites, as well as for specific scripts. Now, change the “128M” into whatever you want to set as the memory limit. Setting up the PHP memory limit is a handy utility that you can use to identify problems with scripts on your server. It can assist in optimizing the performance of your app or website and secure that everything is running smoothly. Fedora Review: Is It the Linux Distro for You?